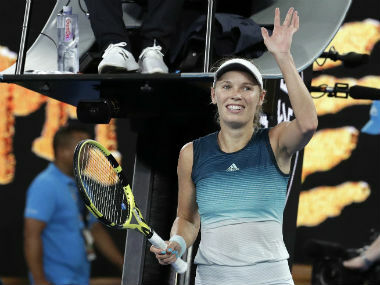 Melbourne: Second seed Caroline Wozniacki withstood a fightback from Spain's unseeded Carla Suarez Navarro to stutter into the semi-finals of the Australian Open 6-0, 6-7 (3/7), 6-2 early Wednesday morning. "I knew it was going to be tough against her because in the first set a lot of games were very close," said the Dane, who is into a second semi-final at Melbourne Park, after losing her first against China's Li Na back in 2011. "Another semi-final here, I'm excited," she added after completing a see-saw win in 2 hr 11 min. Wozniacki will face another unseeded player, Elise Mertens of Belgium, on Thursday for a place in the final. "She's had a very good start to the year, she's unbeaten I think," she said of Mertens. The former world number has often failed to live up to the hype in the majors, but in the opening set she outplayed Suarez Navarro who was trying to become the first Spaniard to make the last four since Conchita Martinez in 2000. Wozniacki was 100 percent successful with service returns and had just three unforced errors in as near a perfect display as is possible over 34 one-sided minutes against the world number 39. 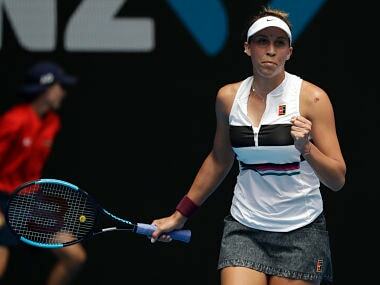 Her level inevitably dropped and she had to fend off a break point at the start of the second. Suarez Navarro finally got on the board in the eighth game to prevent a dreaded "double bagel" 6-0, 6-0 scoreline. It fired up the gritty Spaniard and she sparked the late night crowd into life by breaking Wozniacki, whose accuracy began to desert her. "She improved and made me step behind the baseline," said Wozniacki. "That made the difference." Suarez Navarro suddenly found her timing and had a break point in the next service game which the Dane saved with her sixth ace before breaking back to level at 4-4. Serving at 4-5 Suarez Navarro, who was in her sixth Grand Slam quarter-final and third in Australia but had never progressed further, saved a match point before taking it to a third on her first set point in the tiebreak. 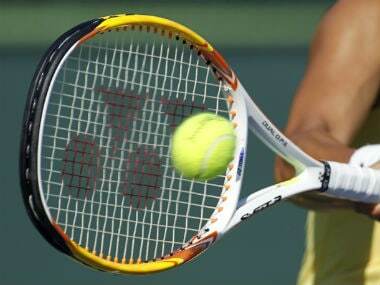 "I was disappointed after I had my chance to win in the second set," said Wozniacki. "But I'm proud to have stayed cool and close it out in the third." Wozniacki regrouped and at 1-1 broke Suarez Navarro's serve. When she repeated the dose to lead 5-2, the Spaniard's resolve was broken and she served out at 1:38 am on Wednesday morning in another late night finish.